In our 10 Best Espresso Machines guide we’ll show you a range of affordable to extreme espresso machines for the espresso connoisseur. To some, it’s just some type of strong coffee, to others; it is the nectar of the gods. Whether you fall at either end of the scale. Or somewhere in between. You know when you’ve had an excellent cup of finely prepared espresso. There is no denying the difference between a cup prepared by a skilled barista or a novice. Modern tech has definitely helped to narrow the learning curve. Making it so you can have that same experience right in your own home. Without having to spend hours learning subtle nuances of pressure and temperature control. For those with the skill and patience to make good use of all the potential that can be coaxed out of the manual and semi-automatic machines, it is distinctly possible your eyes will glaze over and you may very well drool in anticipation of being able to grasp these marvels of art and science. The machines in the 10 Best Espresso Machines buying guide were evaluated based on a number of factors. Their ease of use, cup clearance, and how easy they are to clean or keep clean. Also, how quickly they can reach operating temperatures, brew speed, and style. Since this was intended for home use, I also included machines designed with a small footprint on your countertop. I love my kitchen appliances. But when you can’t find the open space to even chop an onion in peace, they can start to lose their appeal. Right out of the gate, I was in love with this machine. 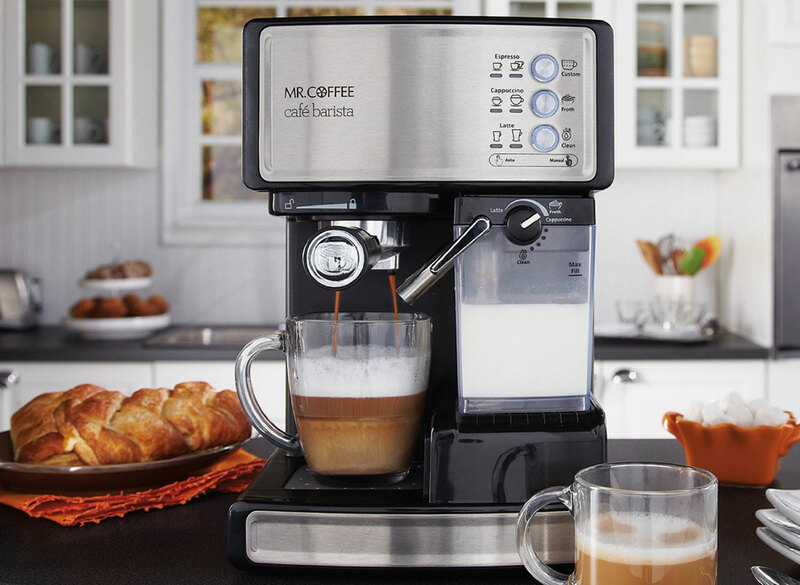 The Mr. Coffee Cafe Barista Espresso Machine ($159) has everything you could want in a semi-auto machine. Also it’s extremely easy to get replacement parts for. A quick quote on the Mr. Coffee site, and for under $40, you can pick up every replacement part they offer for this machine. User-Friendly, removable water reservoir for easy filling, removable milk reservoir, self-clean feature and has great cup clearance. 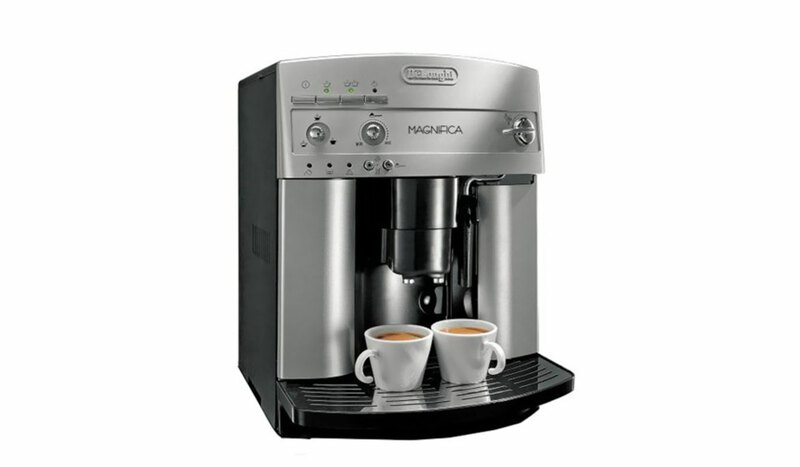 The DeLonghi EC155 Espresso/Cappuccino Machine ($90) shows up everywhere as a best seller. Which after researching it, is pretty easy to see why. Not a big sticker price. Self-priming to speed the start up and brew time. Nice swing out frothing arm to make it easy to use with a plastic end instead of metal which is definitely easier to clean. And it can brew with either pods or grounds and has 2 different thermostats for brewing and steam. It has a removable water reservoir, which takes the hassle out of trying to aim and not drench the counter. 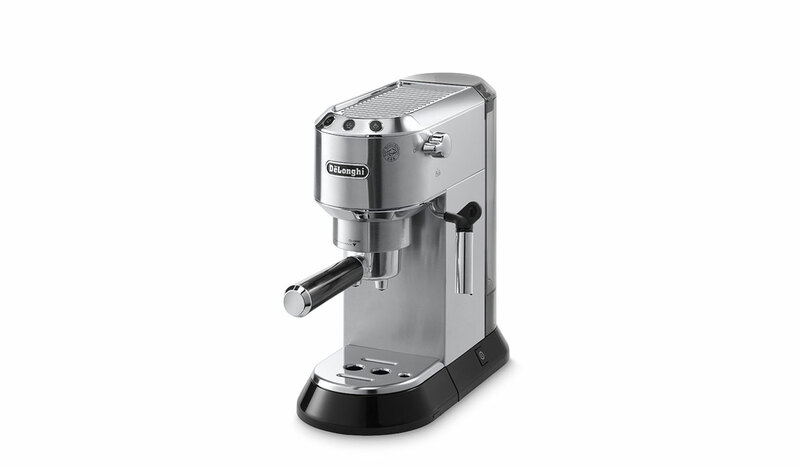 The feature rich Breville BES 870XL Espresso Machine ($600) has a lot of handy extras. Without adding in too much automation. With a built in hopper for beans. Adjustablegrinder, attached 54mm tamper, hands-free grinding cradle and a monster 67 fluid ounce removable water tank. You definitely won’t have to be running around the kitchen looking for accessories. The steam wand has a 360-degree swivel, so you can texture and froth like the artist you are. 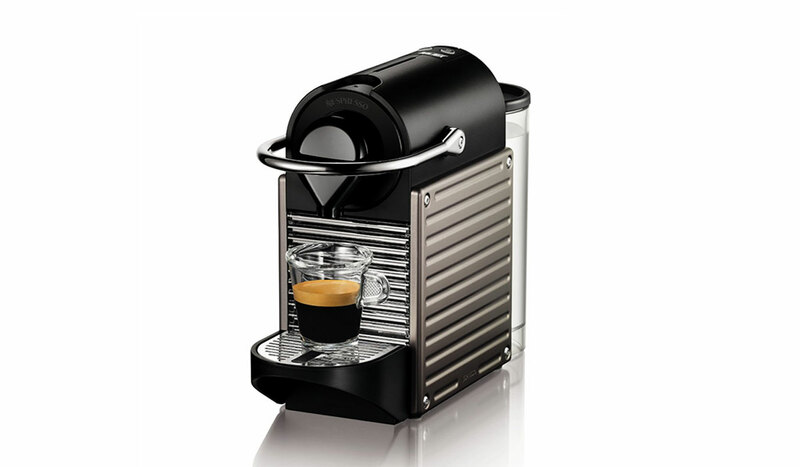 Everything about the Nespresso Pixie Espresso Machine ($170) screams convenience. 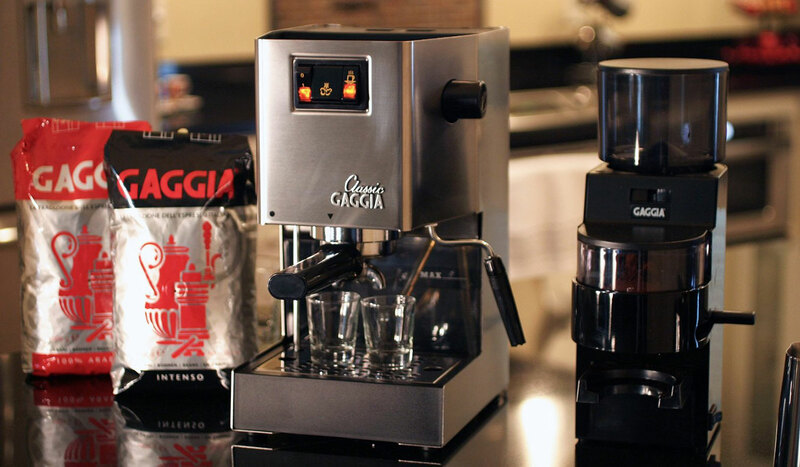 It’s perfect for those wanting a no hassle espresso. This machine provides a cup in less than 30 seconds. With almost zero clean up needed. You’ve found what you’re looking for with this baby. True to its ‘Pixie’ name, it has a small footprint and won’t eat up much counter space at all. 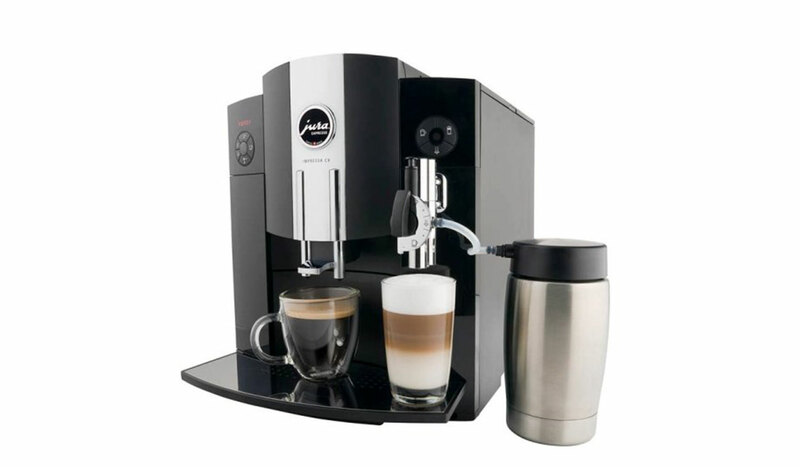 Brewing capsules can be ordered directly through Nespresso at a low cost and quick delivery. Weighing in at 20 pounds of solid stainless steel, the Gaggia 14101 Classic Espresso Machine ($360) is one heavy duty little workhorse. It’s compatible with either grounds or pods. The frothing wand has good mobility and being stainless steel, clean up is a breeze. It comes with an instructional video, and is a forgiving machine for learning the nuances of espresso making. For those wanting a machine with a ton of bells and whistles, but with push button simplicity, the DeLonghi ESAM3300 Magnifica Espresso Machine ($640) is the one for you. Completely automatic with an Instant Reheat function, ensuring the machine is always at the ideal operating temperature. The dials in front allow you to customize the settings to suit your taste. While the 60 ounce removable water reservoir and 7 oz. bean hopper, make this 28 pound modern marvel pretty self sufficient. 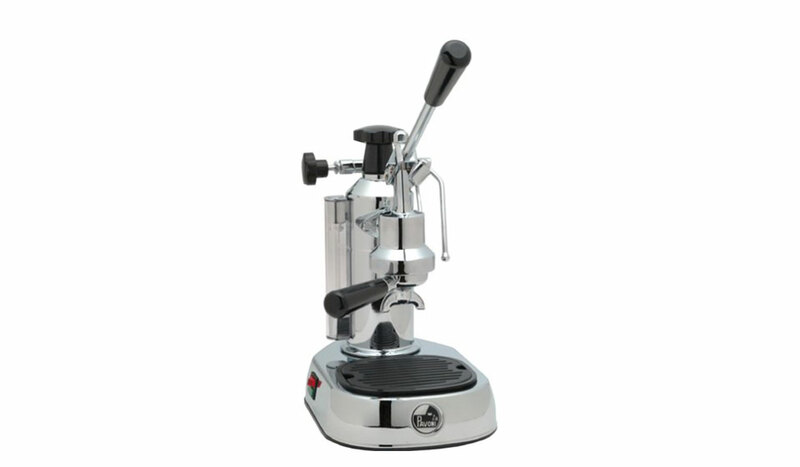 For those that must maintain total control over their espresso making experience, the La Pavoni EPC-8 Espresso Machine ($860) lever style espresso maker is right up your alley. The unit’s chrome surface is easy to clean. And the small number of moving parts makes it easy to service with little more than a screwdriver. It also comes with an instructional DVD to help teach the fine art of manual espresso making. It is definitely not a machine for beginners. 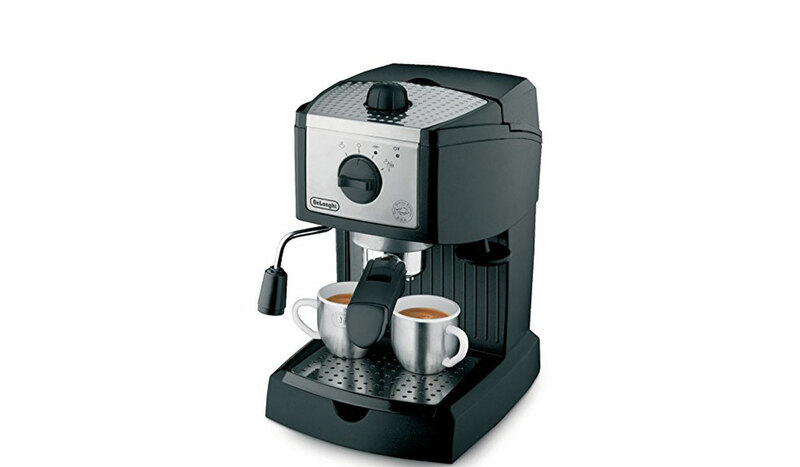 The DeLonghi EC680 Dedica Espresso Machine ($300) is waiting for you to come claim it. Features include a quick heat-up. Ready to go in under 40 seconds. Built-in cup warmer. 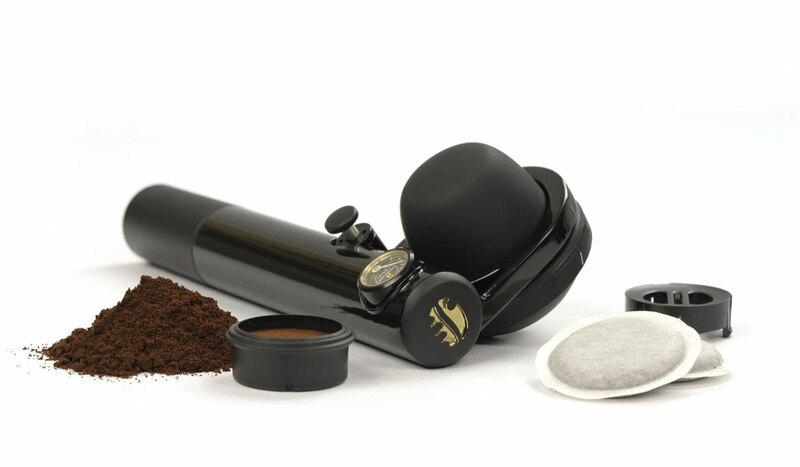 Powerful and adjustable frothing wand and a 3-in-1 filter allowing you to make single, double shots or use pods. You’ll be enjoying your espresso or cappuccino before you know it. For those who are constantly on the go, but can’t be without their espresso, the Handpresso Wild Hybrid Espresso Machine ($127) is definitely the way to go. Easy to use. Easy to clean. And capable of working with grounds or pods, this handy machine is all about convenience. A truly automatic wonder machine, the only thing this number won’t do is drink it for you. 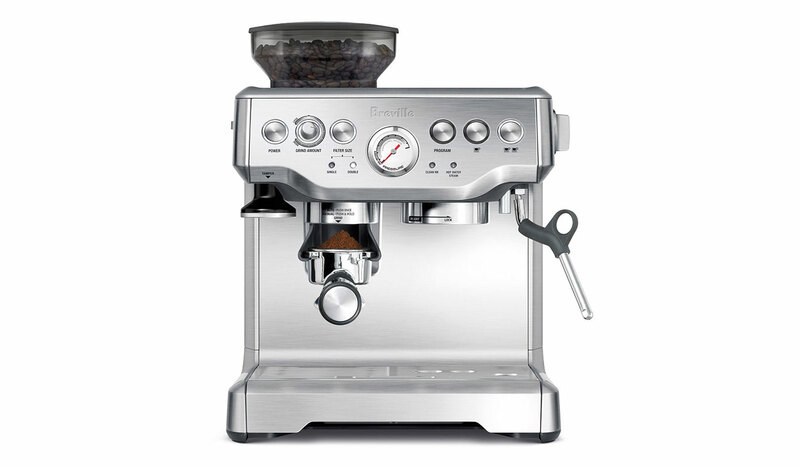 The Jura 13422 Impressa C9 Espresso Machine ($1600) is fully loaded with every bell and whistle. From bean to cup in less than 60 seconds. This unit treats you like a rock star. Add in the automatic cleaning cycle. The CLEARYL water-care system. 5 level water hardness settings and adjustable volume settings from 1 to a full 16-ounce serving. You may just wonder what you ever did without it.